Friday, May 30, 2014 ratings — New episodes: Crossbones, Dateline, 20/20 and Primetime: What Would You Do?. Reruns: Shark Tank, MasterChef, I Wanna Marry “Harry”, Whose Line Is It Anyway?, Hart of Dixie, Undercover Boss, Hawaii Five-0, and Blue Bloods. 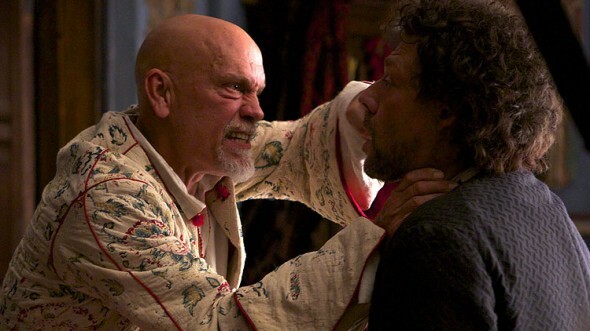 Friday TV Ratings: Crossbones, 20/20, What Would You Do? Friday TV Ratings: Crossbones, Dateline, What Would You Do? Friday TV Ratings: Crossbones, 20/20, Dateline, What Would You Do? Friday Ratings: Stanley Cup Finals, 20/20, What Would You Do? I watch Crossbones last night and I loved it. I like these kind of show and the era it takes place in.I look watch this again. I PUT ON CROSSBONES LAST NIGHT AND IT WAS HORRIBLE, CANCEL IT AND BRING BACK REVOLUTION. How do the networks tally viewers? Do they take into account that lots of us use DVR?